I see lots of posts in groups on Facebook, etc. asking other mums for advice on baking cakes, birthday cakes in particular of course, and there are always masses of comments in reply with a vast array of different recipes, tips, advice, suggestions, photos, links to webpages, etc. etc. I sometimes wonder whether the person who wrote the post in the first place actually feels more confused over which and what to do and how to do it than they were before they asked! For chocolate, I substitute 1/4 of the flour with cocoa powder – so 1/4 cocoa powder and 3/4 self-raising flour. That’s it. Add the flour/cocoa a spoonful at a time until everything’s mixed together. 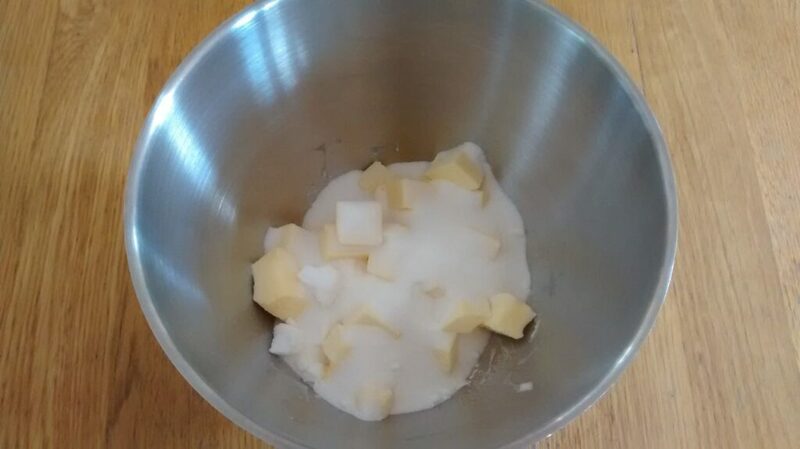 Scrape down the sides of your bowl to make sure there’re no individual ingredients lingering on the side. If adding vanilla essence, do this now too, then mix again. Do remember to grease your tins, otherwise the cakes will stick. I use the age-old method of greasing with the inside of a butter packet. Some people like the cake release spray (which is great for fiddly moulded tins), some like using melted butter, some brush oil over, some add thin coating of flour after greasing. Whichever method you prefer is fine :-) It’s usually a good idea to put some baking paper on the bottom of the tin – it’ll stick nicely to whatever you’ve greased it with and stay in place. Every oven is different, so start with the temperature at about 170-180 degrees C, about 160 degrees C for a fan oven and keep an eye on it. Turn it up or down if you think it’s cooking a bit too slowly or quickly. The time it needs will depend on the size of the tin, how deep the cake is and, again, on your oven. Check it after 15-20 minutes and see how it’s going. The top should brown and when you press your finger lightly on the middle of the top of the cake, it should spring back without leaving a fingerprint. You can also slide a clean skewer or knife into the cake and if it has any wet mixture on it when it comes out, the cakes need a bit longer. Just keep testing until you’re happy. The bigger the cake, the longer it takes. 3 large eggs will happily do 2 x 7″ round cake tins, making you a perfectly adequate cake for tea. Yum. 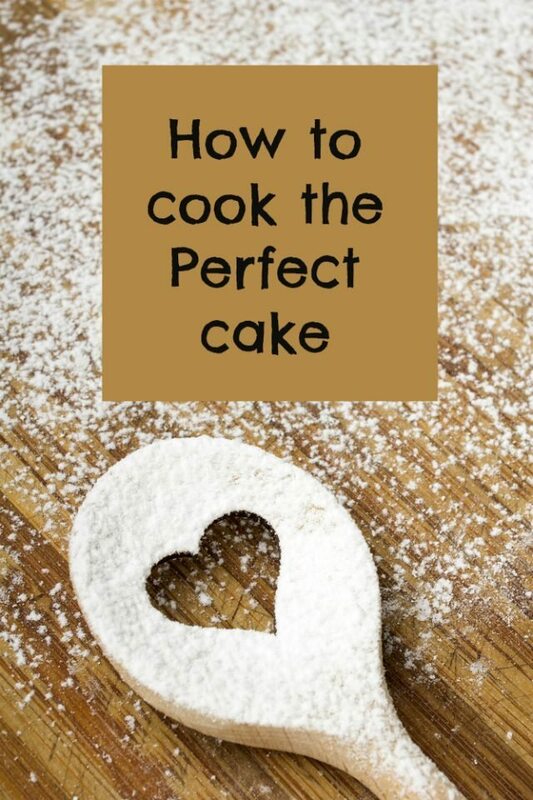 For a 7″ cake, use 2 oz of butter and 4 oz of sieved icing sugar. Basically twice as much icing sugar as butter. Add a little vanilla essence if you like. For chocolate I use 1/10 to 1/8 cocoa powder instead of the same amount of the icing sugar. Spread between the two layers of your cake and enjoy :-) You can also fill with cream, cream and jam, butter icing and jam, whatever you fancy.